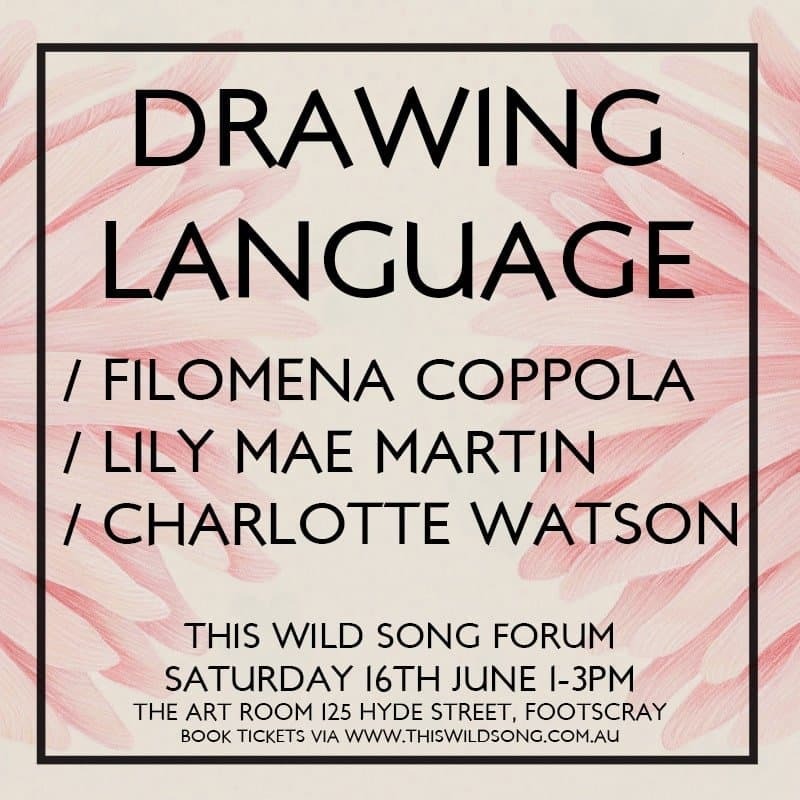 We’re excited to be hosting the next This Wild Song forum with artists Filomena Coppola, Lily Mae Martin and Charlotte Watson! The artists will be speaking about their work and discussing drawing as language, and share their experiences of being a woman in the arts. Please bring along your questions and join us for a wonderful afternoon of conversations with fellow artists. *All contributors to This Wild Song’s fundraiser through the Australian Cultural Fund receive a free ticket! Simply email hello@thiswildsong.com.au to reserve your seat. You can make a tax deductible donation HERE. previous post: This weeks Life Drawing! next post: The Life Drawing Experiment begins tonight!